WSU MED » Dr. Majumdar honored at AACR!!! Dr. Majumdar honored at AACR!!! 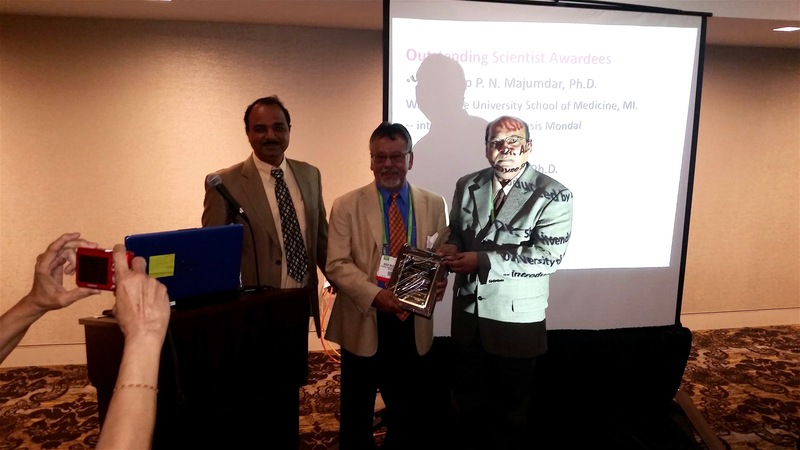 Dr. Majumdar was honored with Outstanding scientist award by the American Association of Indian Scientists in Cancer Research(AAISCR)at the recent American Association for Cancer Research(AACR) meeting in New Orleans, LA. AAISCR honors outstanding scientists, every year based on the quality and importance of their research work presented at the AACR meeting.